If you asked me where to go for Japanese buffet, I would probably recommend Kiseki, Irodori and Sakura. 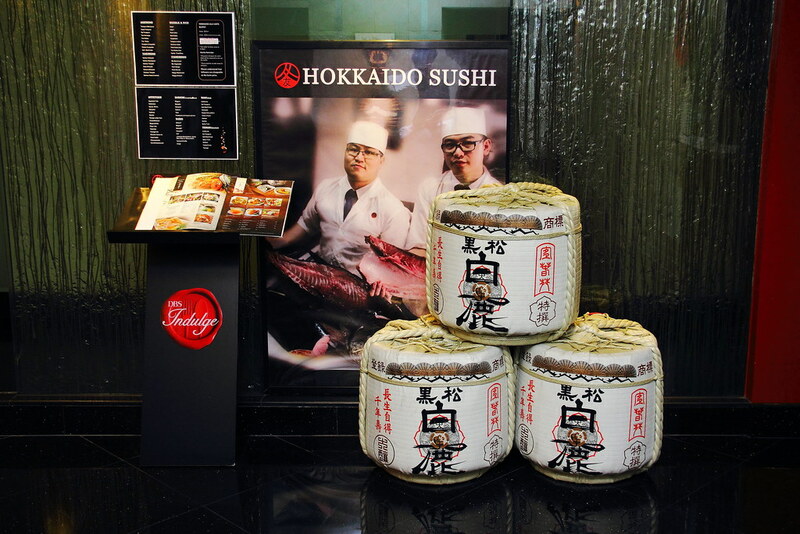 Recently Hokkaido Sushi, a Japanese restaurant on the 9th floor of M Hotel Singapore has introduced The Hokkaido Buffet Experience, on top of their omakase and a la carte menu. The new buffet menu includes most of their signature dishes at a single price, allowing guests to taste their specialties at a reasonable price. The new buffet is priced at $38++ for lunch and $43++ for dinner during the promotional period. Usually price is $48++ and $55++ respectively. Guests will also get a complimentary Seafood Platter for every diner to start with, limited to one per pax. 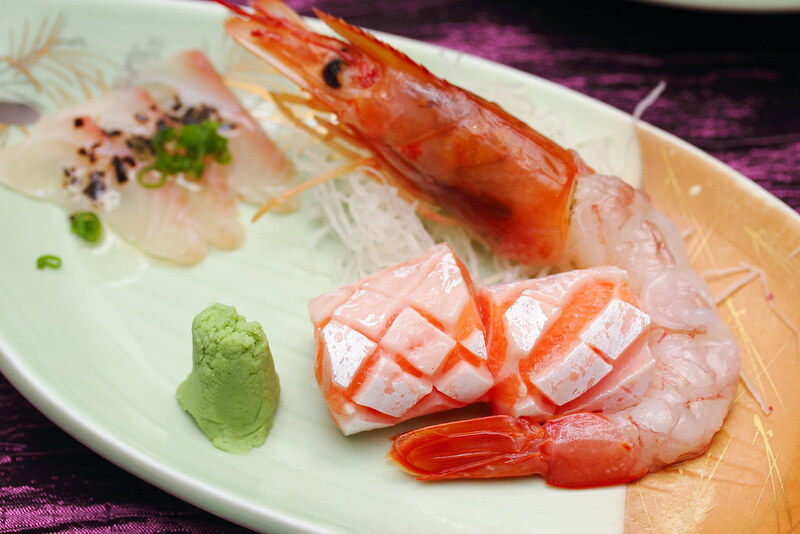 On the plate there is botan ebi, salmon and truffle hamachi. From the Appetizer section, we started with their popular Pitan Tofu. 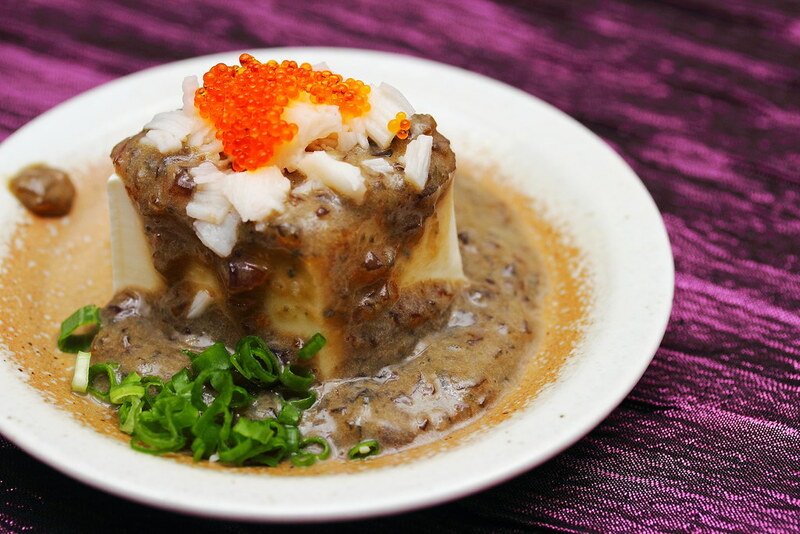 The silken tofu is drenched in a savoury century egg dressing, topped wtih surimi and spring onions. The century egg dressing complemented the tofu excellently. No wonder it is a crowd favourite. 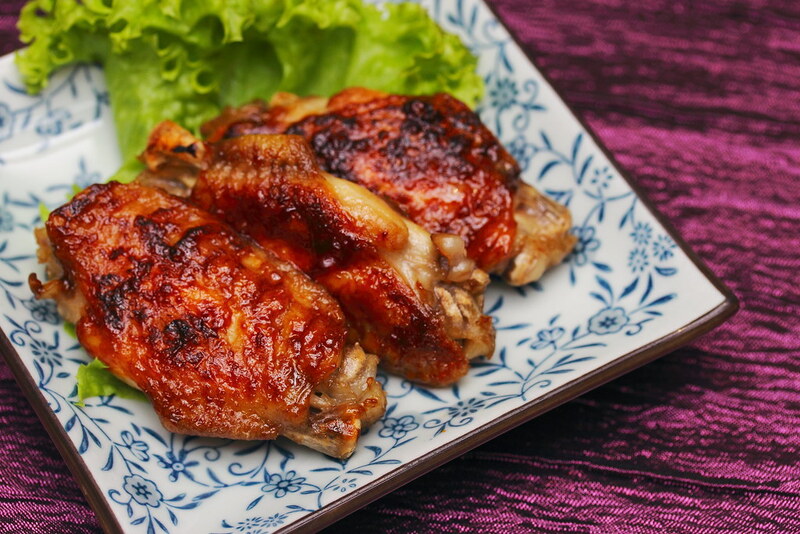 The Chicken Wing was grilled perfectly to a golden brown, tender and juicy. However it needs a bit more seasoning to justify for the excellent execution. The other appetizer we had is the Ikura Chawanmushi and Ika Geso. 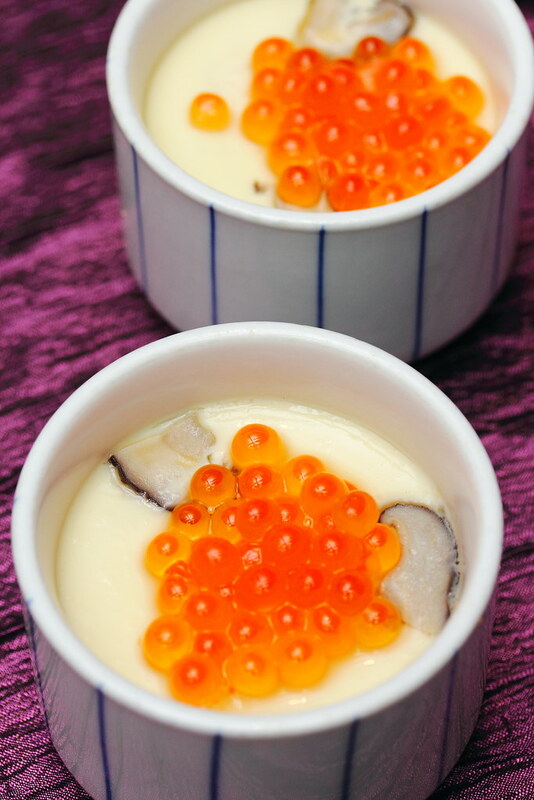 The creamy steamed egg custard topped with salmon roe will delight both the young and old while the deep fried squid in a light batter is a great snack to go with a few drinks. 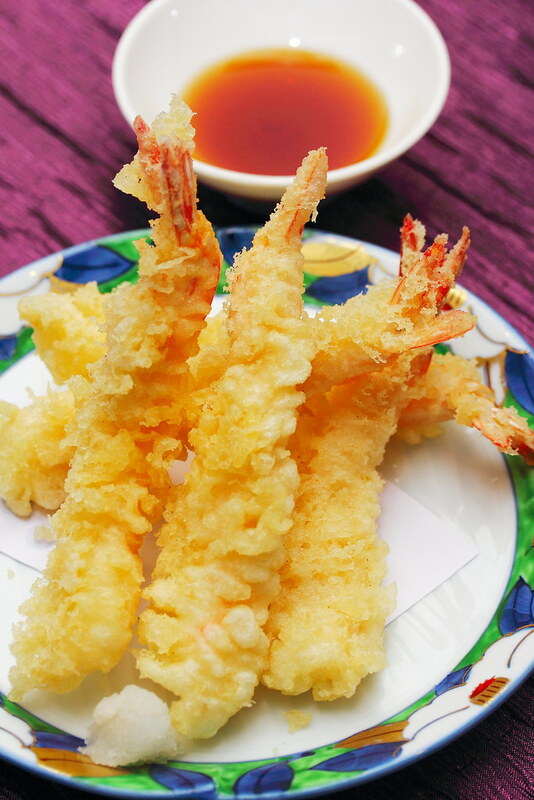 A recommended choice from the Agemono (Deep Fried) section is the Ebi Tempura. 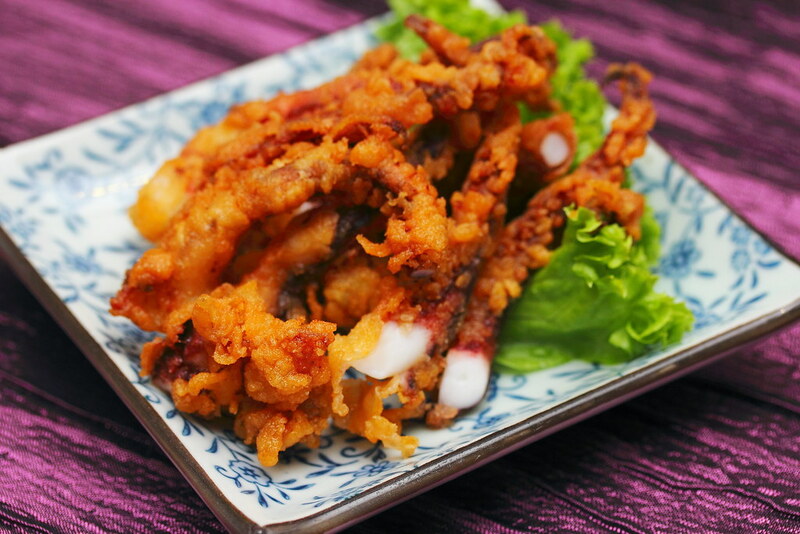 The sweetness of the prawn wrapped in a light tempura batter is really value for money. Imagine it costs $30 for 5 pieces of them on the a la carte menu but you get free flow if you opt of the buffet. From the Itamemono (Stir Fried) section, we tried both the Wagyu Mushroom and Pork with Ginger. 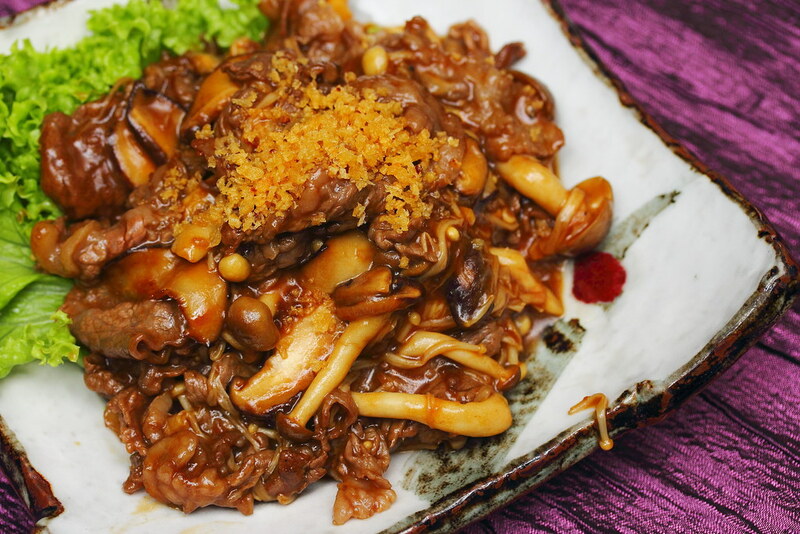 The wagyu mushroom is stir-fried to tender in a medley of mushrooms in a flavourmore sauce. 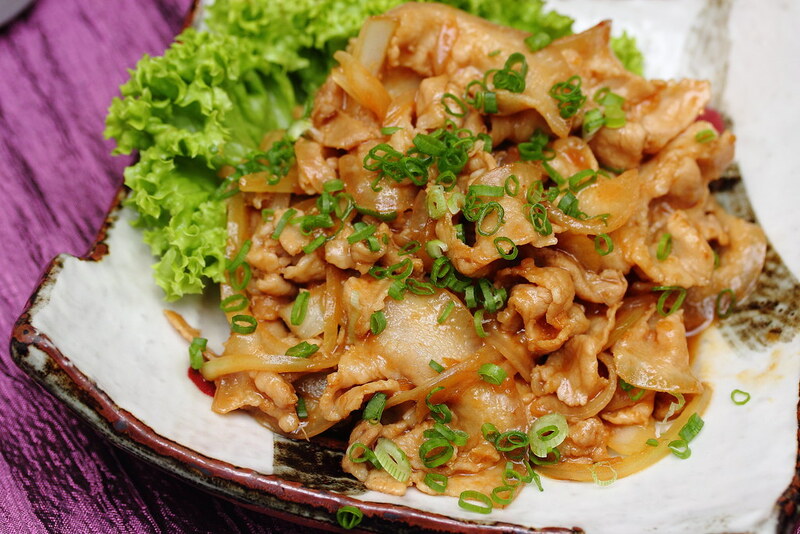 Same goes to the pork with ginger. This two dishes is screaming for a bowl of rice to go with them. 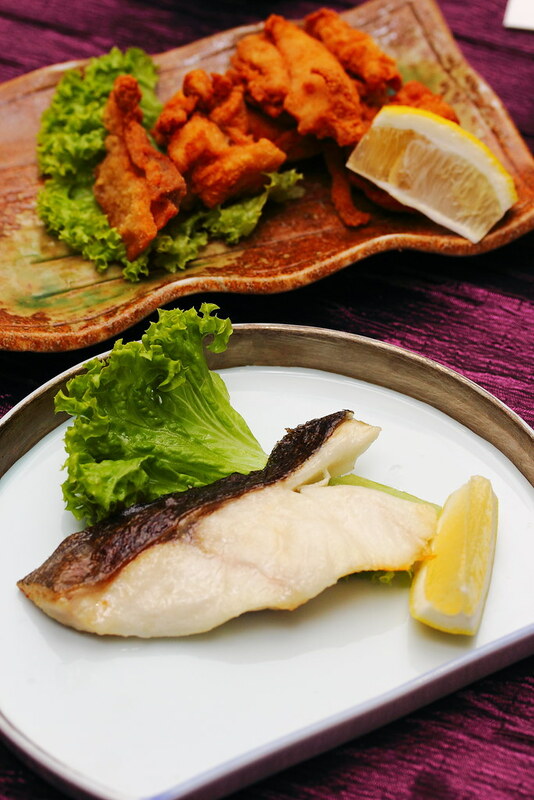 The Ginkarel Shioyaki from the Yakimono (Grilled and Pan Fried) section was too light in seasoning for me. The white fish, lightly salt grilled needed a heavier hand in seasoning for me as the fish itself was rather bland unlike cod fish which has a natural buttery taste. 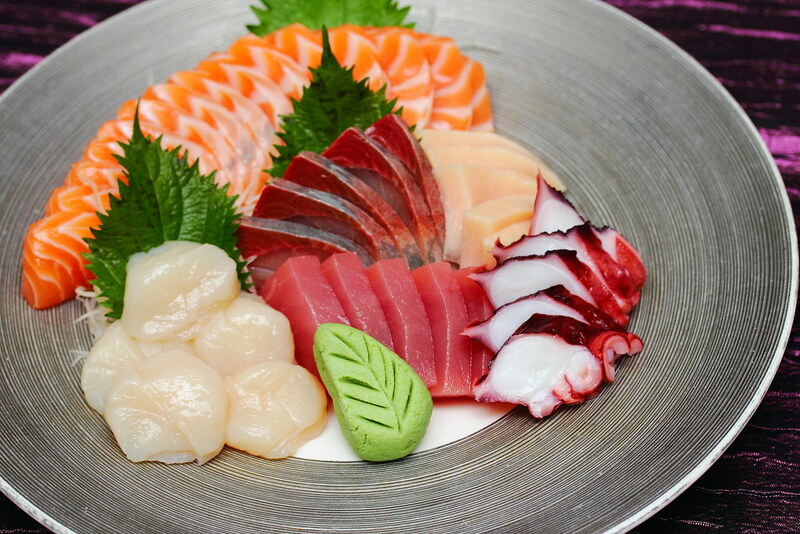 The highlight for any Japanese buffet has to be the unlimited flow of Sashimi. At Hokkaido Sushi, their fish and seafood are air flown in straight from Tsukiji and Sapporo, Japan, twice a week on Tuesdays and Fridays. We had the Maguro (Tuna), Mekajiki (Swordfish), Hamachi (Yellowtail), Tako (Octopus) and Hotate (Scallop). The fresh ingredients were all thickly skin unlike many other places. From the look of it, you can tell it is really very fresh. The bonus is that I visited the restaurant on Tuesday which is their delivery day. 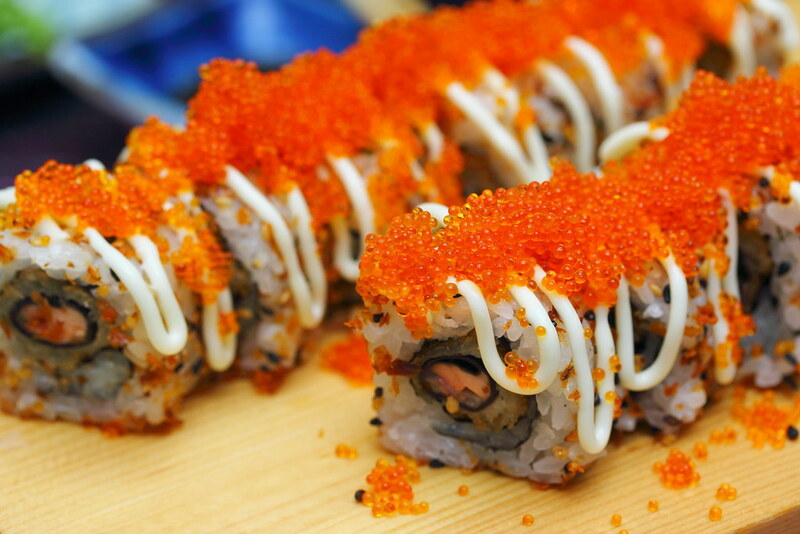 The Hokkadio Maki is roll with salmon and seaweed in the middle, topped with ebiko, special sauce and mayonnaise. It comes with an enjoyable popping bites with lovely flavours. Besides the sashimi and maki roll, we also tried the Aburi Sushi such as the Scallop, Ebi, Hamachi Truffle and Aburi Salmon Mentaiko. 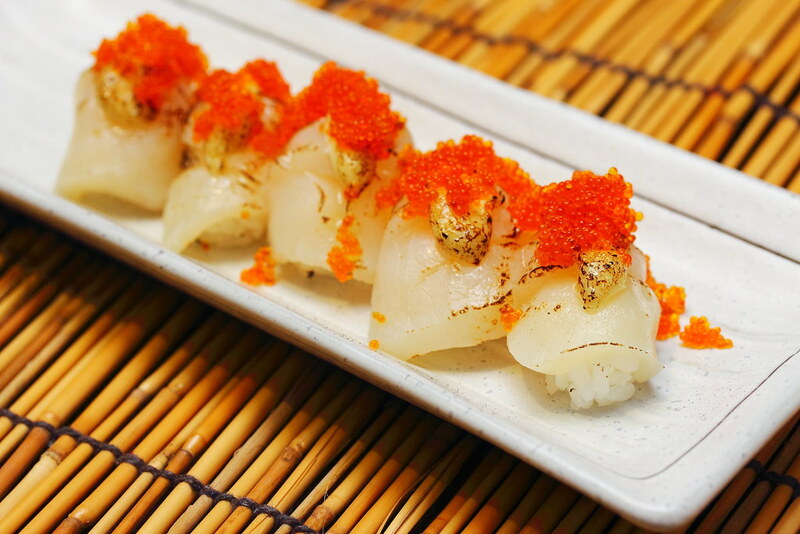 My favourite of all is the Aburi Scallop Sushi topped with garlic miso and tobiko. The torching of the scallop enhanced the whole parcel with an extra smoky flavour on top of the sweetness for a full flavoured enjoyment. 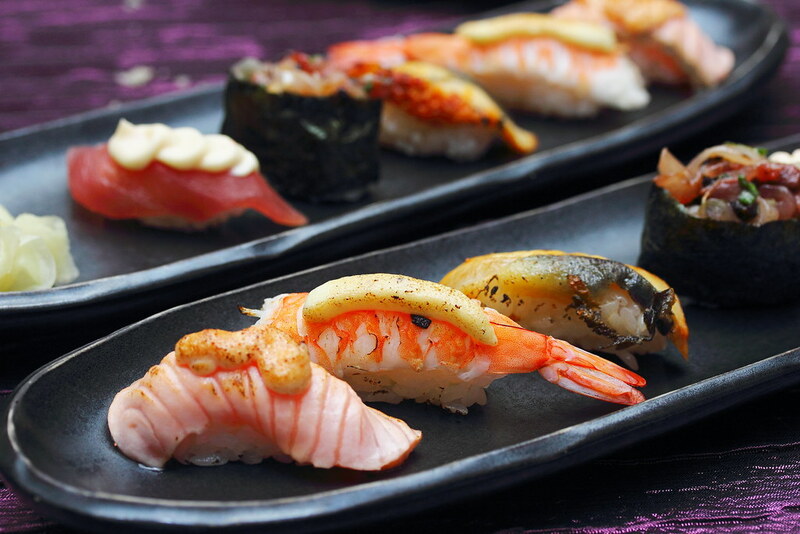 Another worthy note is the use of organic high grade Japanese Nanatsubosh rice for their delectable sushi. It is only one of a select few Japanese restaurants in Singapore who serve such premium rice. Overall I was impressed with the freshness and quality of the food even though it is a buffet. I was informed that the restaurant serves the same quality per their normal a la carte men. It did not short change their customers even though it is a buffet.